If you have solved the problem of how to keep your feet warm this winter with ThermicSole heated insoles, then the battle is half won. But you still have a problem: how to power them. This is where the Therm-IC Smartpack IC 950 comes into play as it has been designed to supply energy and warmth for up to eighteen hours. Heated insoles are ideal for people that are suffering from Raynaud's Disease as they protect your feet (one of the most vulnerable areas) from having episodes. The design of ThermicSole Heated Insoles means that they heat up almost instantly, providing you with unbeatable warmth and comfort. More commonly referred to as the beginner's pack, the Smartpack IC 950 provides warmth and energy for up to eighteen hours – a slightly shorter time than the other Smartpacks but still enough to get you through a long day! 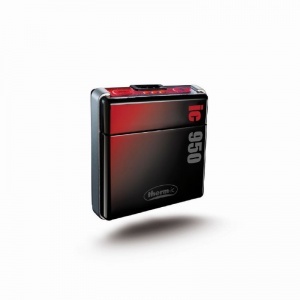 Like the other packs, the IC 950 also has a very swift charging time so you are not trapped waiting for it to charge when you want to get on. There is an integrated control panel on the top of the pack that regulates the three different heat levels that are available. This enables you to set the panel at whatever temperature is best suited for your individual needs and preferences. Heat is caused by the ultralight lithium-ion batteries and the impulse control feature helps to stimulate blood circulation, which helps to enhance the heat due to the warmth coming from inside the foot as well as being provided from the Smartpack. It is available with either a UK or EU plug, so can be used throughout the continent. The Therm-IC Smartpack IC 950 is suitable for use with any pair of ThermicSole Insoles.